Very small things can endear you to a city. 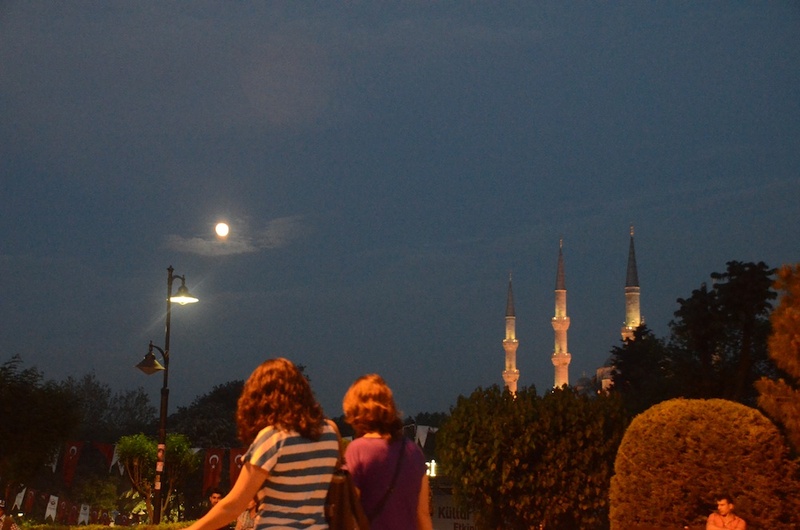 Istanbul is very much a tourism-oriented city. At every corner, you get accosted by a smiling man asking you to come and eat in his little streetside/rooftop cafe. “Biradar (brother),” he calls. And if you refuse, he says, “Maybe tomorrow?”. Don’t break his heart by refusing him, be polite and say, another time! 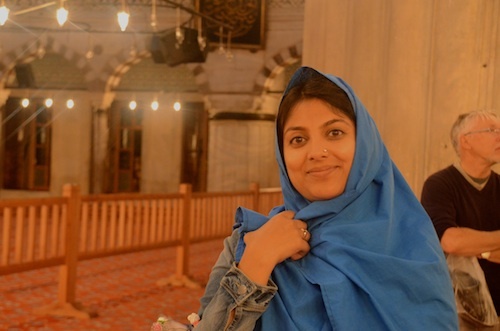 To me, this ritual captures the essence of this genteel culture, this fascinating mix of East and West, this city that was the seat of Christianity for a thousand years, then the seat of Islam for another several centuries. With a predominantly Muslim population, today Turkey holds forth as a beacon of tolerance and modernity in a world that is increasingly suspicious, divided and myopic in the way it views other cultures. Today was our best day here so far. We had no game plan in mind and the entire day unfolded beautifully and effortlessly, starting with a long walk by the Sea of Marmara (marble) along the Golden Horn and right next to the old city walls. We saw the locals enjoy their Sunday in the most simple and delightful ways, fishing, sunbathing, strolling. Remains of the city wall. 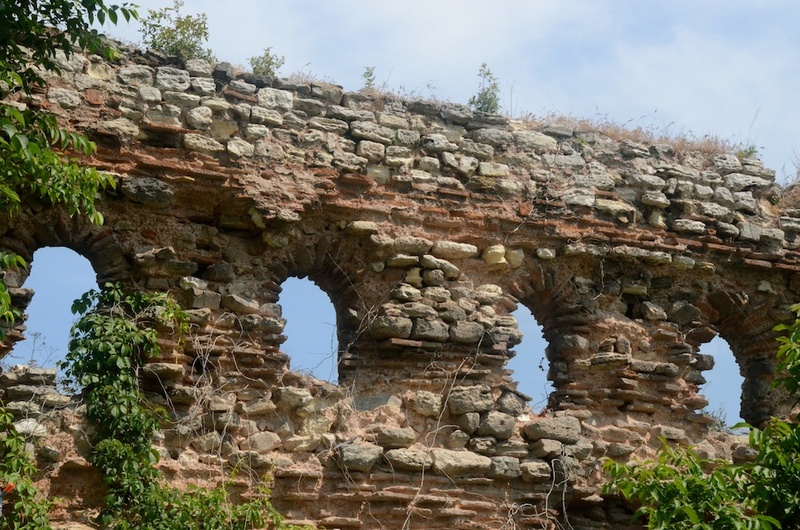 Typically, Ottoman masonry had stone with a few rows of brick. We saw this in several places. Very interesting texture. 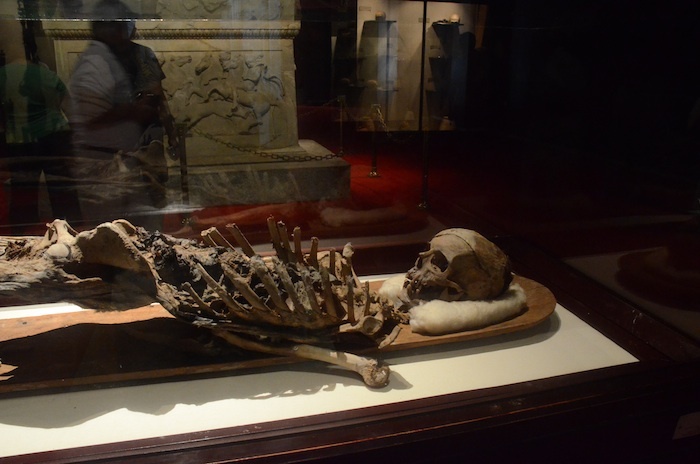 We ambled through Gulhane Park and into the Istanbul Archaeological Museum, which has an impressive collection of Antiquities art, especially of the necrophiliac kind! These cats in Istanbul have some character! 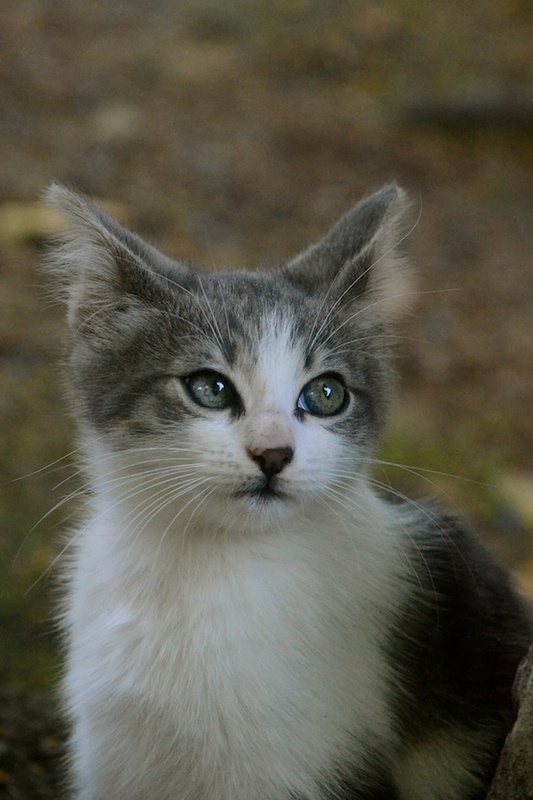 This kitten stared at me outside the museum building, while a huge and aggressive tomcat nearly ate our Shawarma roll tonight! 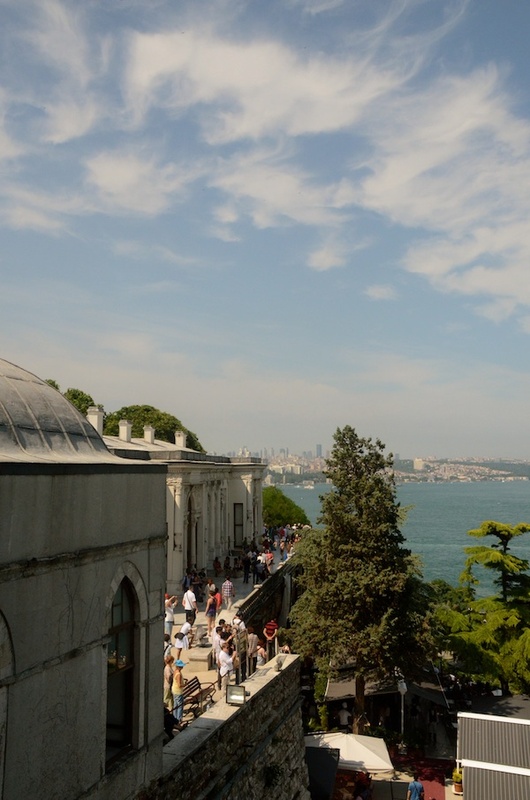 We visited the Topkapi Palace next, which was the seat of the Ottoman Empire in its hey days. In terms of scale, it was larger than Fatehpur Sikri perhaps, and much more ornate. Items from the royal treasury and armory were in display and despite the tourist hordes, it was fascinating. The palace is located at the highest point in the city, so the views were rewarding by themselves. Baghdadi Pavilion..every time these guys won a war, they made a pavilion! 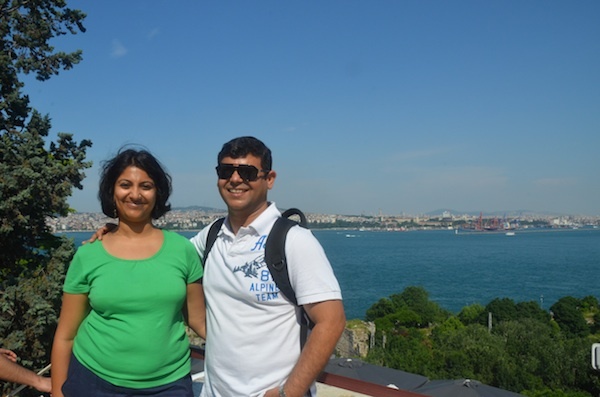 That is the first decent pic of both of us together on this trip…a good woman painstakingly took this one..thanks Lady! We took in a show of whirling dervishes in the evening at a charming theater called the Hodja Pasha. It used to be a Turkish hammam, and now the ladies and gents bathing chambers have been converted into performing spaces. The dervishes whirled beautifully in their pristine white flowing robes, just as I had imagined them. I don’t quite think this is supposed to be a performing art form though, considering about 40% of the audience was dozing off! 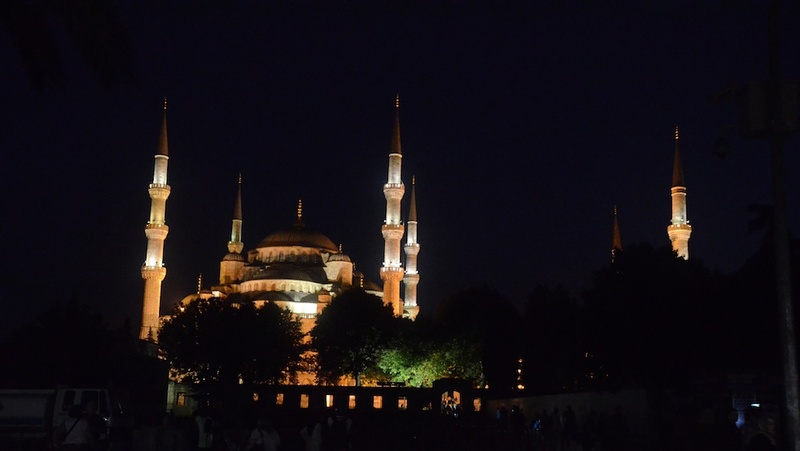 As we got off the tram to head back to the hotel, we were captivated by the lighting on the two jewels of this city- the Aya Sofya and the Blue Mosque, the latter we hadn’t seen yet. To our delight, it was still open and we had a peaceful viewing and opportunities for some night time photography. 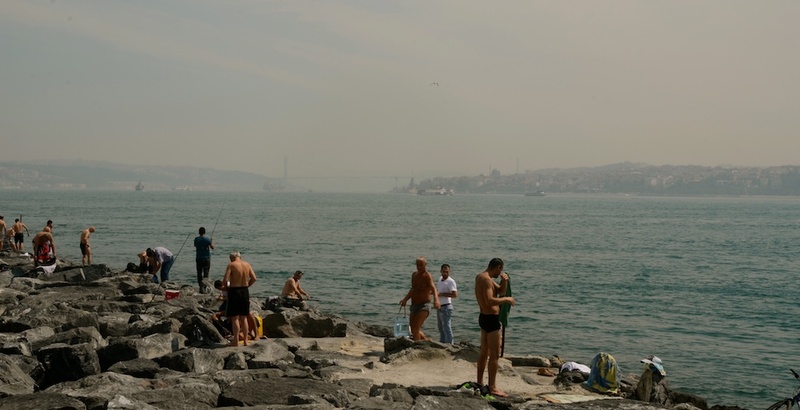 Before I sign off, I have to say I love how the public spaces are used by residents in Istanbul. We’ve seen birthday celebrations replete with confetti happening on the streets. Lovers cuddle and families picnic in the gardens everywhere. Well-maintained infrastructure and efficient and low-key policing facilitate this, but it is also about a culture of using the city as a canvas for your life. How I wish we did this more in Delhi, which in my opinion rivals Istanbul in its legacy and character! 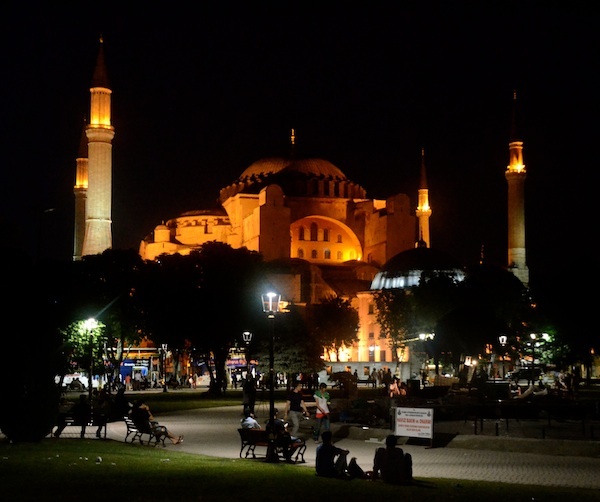 Lit up Aya Sofya. Note how full the open space in front of it is even at night. 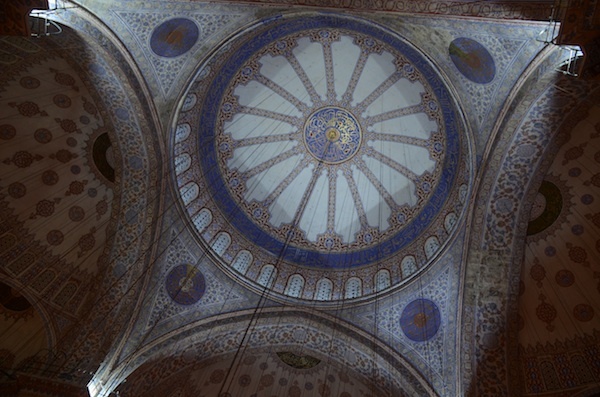 The Blue Mosque- one of the most beautifully symmetrical buildings I have seen. Quality tile work in blue inside lends in an ethereal feel and its name! 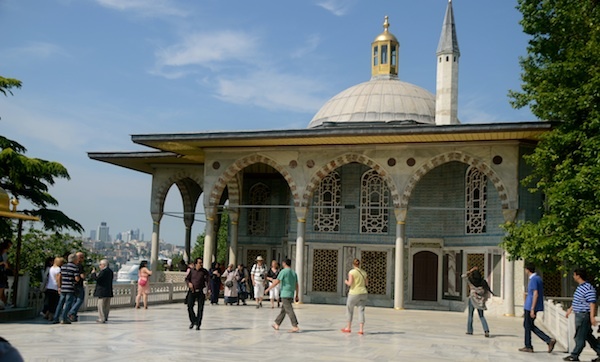 Posted on June 3, 2012, in Urban Planning & Policy and tagged architecture, culture, Istanbul, museum, open space, palace, tolerance, Turkey. Bookmark the permalink. 2 Comments. How lovely!! As an architect I’m sure you can truly appreciate the architectural details everywhere. Are you going to Cappadocia? I’m rather intrigued by the fairy chimneys. Look forward to reading your take on it if u are.